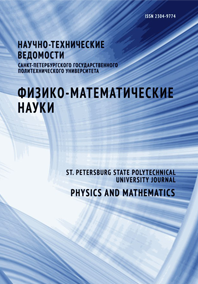 Kolesnik Elizaveta V. Smirnov Evgeny M.
Several schemes of the second-order approximation worked out in the literature for unstructured-grid-based computations of gasdynamic flows are described. The convective fluxes on the control-volume’s faces are evaluated using the Roe’s approximate Riemann solver. The MUSCL approach with the use of various quasi-one-dimensional schemes of reconstruction of gasdynamic variables and limiters making the solution monotonic is applied in order to improve the approximation accuracy. Comparative analysis of the working capacity of the schemes under consideration has been carried out through solving two problems of inviscid gas flow. Namely, the transonic NACA-0012 airfoil flow and the superpersonic flow in the duct with the central ramp were computed. The smoothness of solution, obtained with different schemes, dissipativity features of the schemes and computational process stability were evaluated.